As an intellectual property attorney, Brendan loves digging into the details of clients’ matters. With a lifelong interest in science and logic, Brendan earned a degree in physics but knew he didn’t want to spend his career in a lab. He was drawn instead to patent law, a field where he could apply his scientific knowledge to protect new technologies. His physics training also proved to be excellent preparation for a legal career: in physics, every force must be accounted for. Brendan’s background taught him to dive deeply into the facts of legal matters. He’s known as a thoughtful attorney who’s willing to spend the time necessary to thoroughly understand clients’ cases and how this fits into the bigger picture of their business plan. 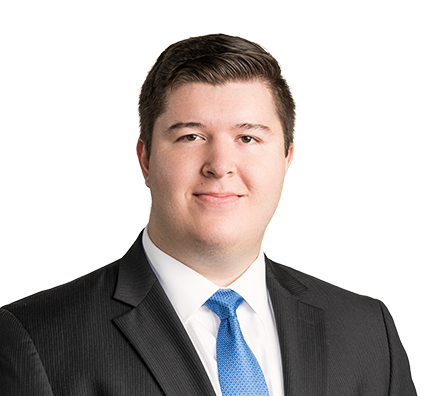 Brendan also fiercely advocates for clients during litigation, and he’s passionate about protecting and defending their intellectual property. He finds great satisfaction in knowing he has fixed a problem for a client so that their business, and related new technologies, can continue moving forward. Brendan enjoys taking full advantage of his height on the volleyball court. He competed at the club level at his undergraduate university, and he now plays on a variety of local teams with friends and family.